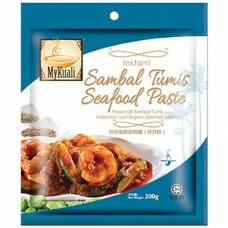 Missed the homecooked sambal prawns in UK? Awww.... do not wait anymore! 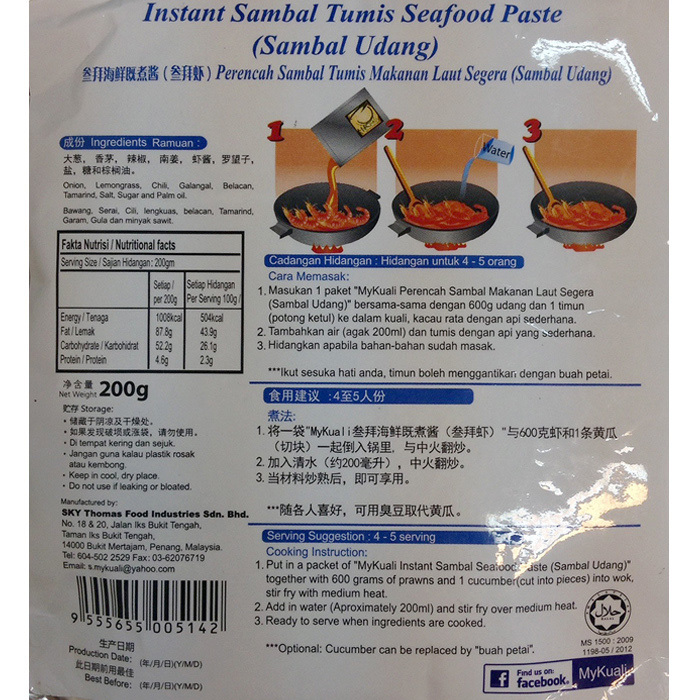 A 200g of Instant Sambal Seafood Paste (Sambal Udang) will bring you to cloud 9! 1. Put in a packet of “MyKuali Instant Sambal Seafood Paste (Sambal Udang)” together with 600 grams of prawns and 1 cucumber (cut into pieces) into wok, stir fry with medium heat. 2. Add in water (Approximately 200ml) and stir fry over medium heat. 3. Ready to serve when ingredients are cooked.